It might look like a screenshot, but it is not. Just pick a drawing tool and start painting your cursor directly in the browser. Drawing a cursor - about pencil, eraser, line, etc. Blending mode - mixing drawn and previous pixels. Setting cursor hot spot - the "clicking-point" of a cursor. Selecting a color - pick color to draw with. Downloading a cursor - get the result of your work. Using templates - start making a new cursor. Applying effects - about colorize and drop shadow. Using cursor on your computer - changing mouse pointers. Activate pencil by clicking on it. Then press and hold the mouse button on the canvas, move the mouse and release the button. Eraser works similarly as pencil, but instead of drawing, it erases the pixels. Lines, rectangles and ellipses are drawn by pressing mouse button in one corner of the shape and releasing it in the opposite corner. Press mouse button to change color of all adjacent pixels to the active color. Each mouse cursor has one special pixel (called hot spot) that controls the actual position of a click. For arrows, it is usually the upper left corner, for a sniper scope-like cursor, it may be in the center. Select the "Hot spot" tool and then click on a pixel. The clicked pixel becomes hot spot. Look at the preview in the lower left corner - the hot spot pixel is always in the center of the cross.  If the opacity of the currently selected color is less than 100%, the blending mode controls whether pixels are replaced or drawn over the previous content. In "blend" mode, the pixels are painted over the previous content. "Replace" mode removes previous color and opacity of a pixel and uses the currently selected one. Before you can use a cursor on your computer, you need to download it. Fill in a name for your cursor and then click the "Download" button in the lower area of the window. Important: When your browser asks you what to do with the file, do NOT try to open it. Instead, SAVE it to a folder of your choice. Only then you can make it your cursor. Many of the drawing tools and effects are making use of the current color and opacity. You can select color and opacity by clicking in the color areas by the right side of the window. Select hue by clicking in the top bar, select saturation and brightness in the middle square. Opacity (alpha) can be selected using the lower bar. The "Dropper" tool can be used to make color of a pixel on a canvas active. Click the tool and then the pixel. Previously active tool is re-activated automatically. You can quickly delete all pixels or initialize the canvas with one of the common arrows. Click on an image (or the empty space) in the "Templates" panel. It may take a second or more depending on your computer and internet browser (Internet Explorer is extremely slow). There is a couple of effects that can be applied by clicking on them in the top toolbar. It may take a second or more depending on your computer and internet browser (Internet Explorer is extremely slow). Re-color all pixel using currently selected hue and saturation. Add a dark shadow around the drawn pixels. Repeat for more intense shadow. After you have downloaded a cursor, go to your Start menu and click on Control Panel. Then find the Mouse control panel. Switch to the Pointer tab, select a role, click Browse and navigate to the downloaded file. Finally, click OK.
An alternate way of switching cursors is using the Change Cursor tool (freeware). Log-in to be able to add the created cursor to the cursor gallery. Do not be afraid to experiment. Start by clicking on the canvas, move your mouse while holding the left mouse button down to draw a continuous line. Try out the other tools. When ready, hit the big Download button and save your cursor. Also, learn how to customize your cursor. RealWorld Cursor Editor allows you to create animated cursors and is more comfortable to use. And free! You can put the cursor where ever you want with the aim looking thing (http://www.rw-designer.com/oce/res/hot-spot.png). If you want to make an animated one you have to Download the Cursor maker (http://www.rw-designer.com/cursor-maker). For me its a 5/5 !! 1. go to settings, choose Devices and then choose mouse and touchpad. In the Right top corner should be a text saying Additional mouse settings. 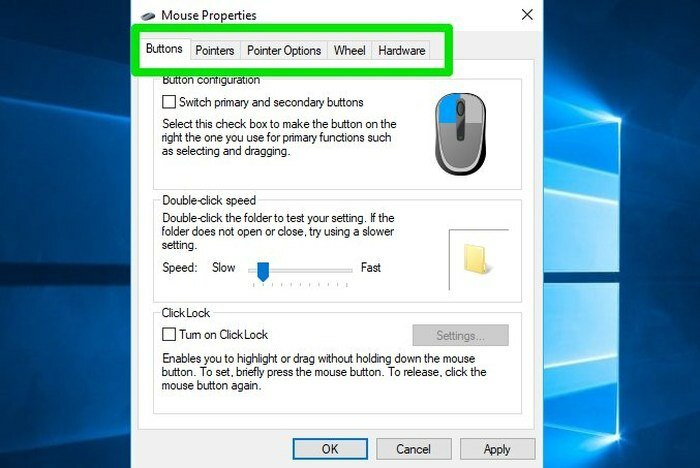 Click it and a pop-up window should appear(https://www.maketecheasier.com/assets/uploads/2018/01/customize-mouse-windows-10-mouse-properties.jpg) saying Mouse Properties. 2. Then click the text saying Pointers (http://support.hp.com/doc-images/585/c04855005.jpg) and then click Browse. Then another pop-up window should appear showing different kind of pointers. 4. after clicking (Apply) choose ok and your done. MORE: If you want your default cursor you have to repeat all steps but instead of choosing Browse choose Use Default. Thats it. Rememper to always click Apply first, then OK.
Hey, I like it! It's like Microsoft Paint but for making cursors and publishing them to the site. Just incredible! Super! Thank you guys! Imazing tool.